Jeffrey is a pilot, photographer, airplane owner, and an accomplished law school graduate. He began his legal career in 1997 as a JAG officer in the U.S. Air Force, and has owned a law firm in Bellingham, WA. After leaving active military service in 2001, he worked as a municipal prosecutor in Bellingham, WA, and then entered private practice. He regularly files Cessna and Piper aircraft. Jeffrey served as a legal news consultant, on-air contributor, and was a frequent fill-in talk show host for KGMI Radio AM-790 in Bellingham. He also frequently provided legal and aviation commentary for news stories on television stations KIRO-7, KING-5 and KOMO-4 in Seattle and has done so nationally for ESPN-Radio. He also appeared several times as a legal consultant and on-air guest for TruTV (formerly Court TV) in Manhattan, N.Y. 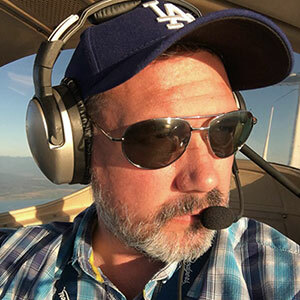 He is has been a member of the Aircraft Owners and Pilots Association (AOPA) Legal Plan Attorney’s Panel, the Washington Pilot’s Association, the Experimental Aircraft Association, the U.S. Air Force Auxiliary-Civil Air Patrol, the American Legion, the Sons of the American Legion. He is a former member of the Washington Air National Guard. A pilot since the age of 17, Jeffery has more than 3,000 hours of flight experience in Cessna, Diamond, and Piper aircraft.